Whomp whomp. There're no Beer Smurves for sale. 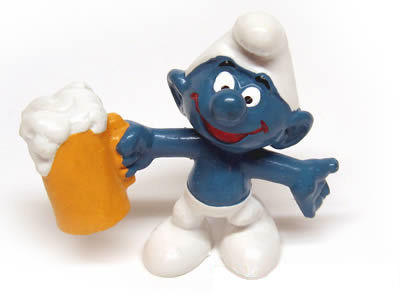 The Beer Smurf holds a large beer stein filled to the top with frothy lager. This figure is pretty common.